Having your garden professionally designed is an exciting opportunity where your personality, tastes and lifestyle can be expressed through a creative process. All design projects are individual and based on interactive communication with you to enable us to reflect your exact requirements. 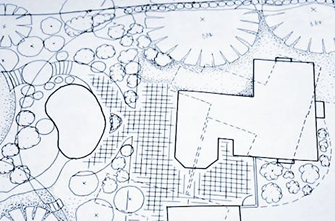 Following a thorough understanding of your requirements, design drawings are produced using traditional methods of ‘pen and ink’. ...or alternatively, we are happy to provide a ‘design only’ service. Please contact us for more information on what we can do to professionally design your garden.